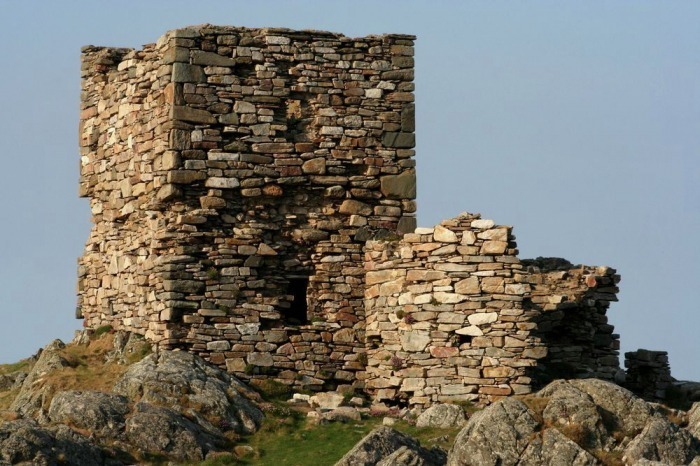 Carrickabraghey Castle, on the Isle of Doagh, can be reached by driving past Ballyliffin and just keep on driving until the end of the road where you will see the castle ruins right down on the shoreline. 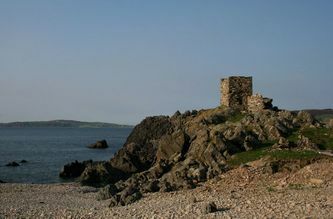 The castle sits on a rock called the Friars Rock and is thought to date from around the 16th century. 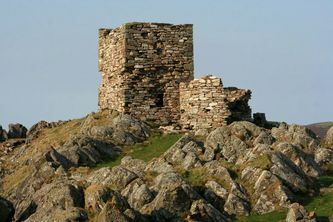 It was last inhabited around 1665. 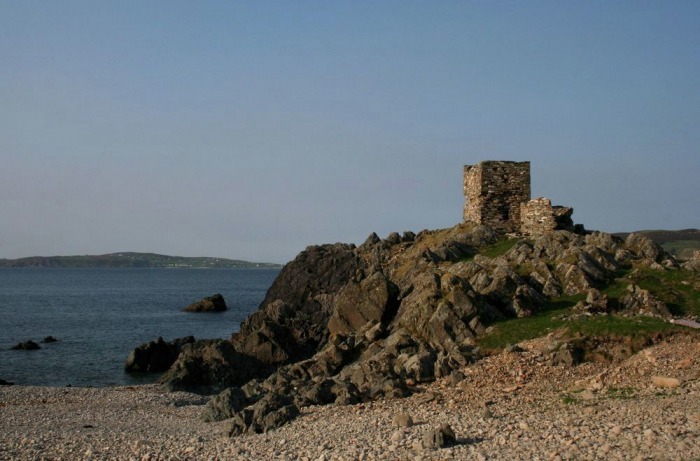 In the waters beside the castle is a rock called 'The Hissing Rock' so named because a crack in the rock causes the sea to spurt from it when the tide is in.